Book your transfer with American Airporter Shuttle on our Private Airport Transfer service today! At American Airporter Shuttle our Private Airport Transfer service is available for transfers between San Francisco Airport, and 468 locations across United States. The Private Airport Transfer service aboard American Airporter Shuttle is an express on-demand door-to-door transfer service. Your vehicle will be travelling exclusively for you and your group, directly without stops or delays, to your destination. Your transfer time will be best suited to match your specific requirements and the driver will pick you up and drop you off whenever it suits you. Our Private Airport Transfer service is available 24 hours a day 7 days a week and can be booked up to 12 hours ahead of travel. At American Airporter Shuttle we offer fixed transfer fares starting from $85.00 USD total one-way and with enough seat capacity for up to 9 passengers. Your final fare with us includes luggage allowance for 1 carry-on bag and 1 check-in bag per passenger. Also included in all our fares are airport parking fees, any tolls along the route and your drivers waiting time. 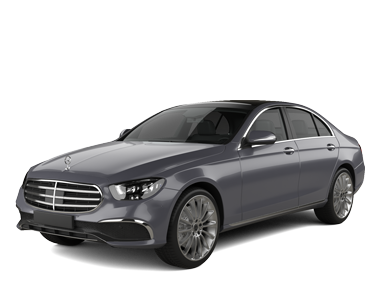 American Airporter Shuttle is a transport company based in United States and we have been a professional transport supplier on Jayride since June 2015. For over two decades, American Airporter Shuttle has been recognized to be the established marque of San Francisco airport transportation and has received notable acclaim as San Francisco’s most reliable door-to-door airport shuttle service, offering the most consistently dependable and comfortable means of travel between SFO and the city of San Francisco since 1990. Our staff of courteous drivers have been thoroughly trained and are professionally qualified in all facets of airport transfers within the San Francisco Bay Area, affording both hotel guests in San Francisco and all residential customers throughout the Bay Area the same exceptional quality of excellence 24 hours a day 7 days a week. Pretty good service. Timing was right. We had different terminals and the suggestions of the driver were helpful. Our driver was on time, friendly and provided a safe ride for our commute. I would recommend their service to others.